يشكل Paradise Apartments بموقعه الممتاز في بحيرة إنترانس نقطة انطلاق جيدة لاستكشاف هذه المدينة النابضة بالحياة. لا يبعد الفندق كثيراً عن مركز المدينة، فهو يقع على بعد 3 km منها. في حين يستغرق الطريق منها إلى المطار حوالي دقيقة. سوف يعشق النزلاء موقع هذا الفندق، فهو قريب من أهم المعالم السياحية في المدينة كمثل سيرف شارك, Lakes Entrance Beach, ليكس انترنس . إن Paradise Apartments حريص على توفير الراحة للنزلاء، فلا يوفر الموظفون جهداً في تقديم أفضل الخدمات وضمان حسن الاستقبال. إن واي فاي في المناطق العامة, صف السيارات, غرفة عائلية, مرافق للشواء هي جزء فقط من الخدمات التي تميز Paradise Apartments عن باقي الفنادق في المدينة. يمكن للنزلاء الاختيار من ضمن مجموعة من الغرف المصممة بعناية لتعكس جواً من الراحة، والتي يتجاوز عددها 9. إن مسار جولف - ضمن 3 كم, حمام سباحة خارجي, سبا, حديقة هو المكان الأمثل في الفندق للاسترخاء وتفريغ طاقتك بعد نهار طويل. إن Paradise Apartments هو مكان مثالي للمسافرين الذين يتطلعون إلى الراحة والاستجمام في بحيرة إنترانس. A good place to bring the family to. Very comfortable and great cooking facilities. The staff were very helpful and friendly and made your stay pleasurable. Pros: 15min walk to sea access Very accomodating receptionist Kitchen facilities is complete Child friendly Cons: Can't say anything negative for budget type accomodation. Other reviews have mentioned the signs saying 'no crabs'. Indeed there do seem to be a lot of rules and regulations listed in the rooms. We booked an apartment at a busy time of the year and the prices reflected the peak period. For the price, it was average at best. The staff were friendly, but the room had a slightly mouldy smell...not related to crabs. Thank you Bruce for reviewing one of our apartments. We do supply a cooker out in our beautiful garden bbq area for all guests who wish to cook crab. As we consider all current and future guests 'crab's' do have a distinct smell when cooking and wish to keep all room's smelling fresh for all guests. 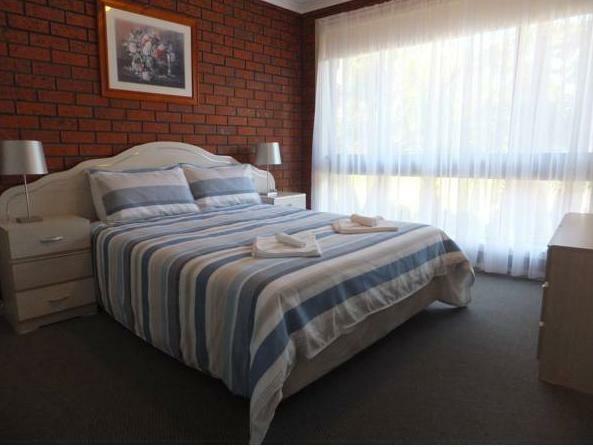 All rooms have had a thorough 'spring clean' and hope your next stay is enjoyable. Kind Regards Paradise. Bit dated, but quite comfortable , even though in summer they could have removed the electric blanket, as the cirds were quite uncomfortable. Value for money! Friendly owner staff. Unhygienic to serve unsealed milk to a guest and even unprofessional to ask a guest if they want a milk when they check in. Cleaning policy is way too much to demand guests to clean up before checkout. Quiet part of Lakes Entrance near Lake Tyers Beach. 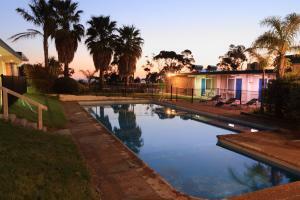 Parking on site and access to onsite, very clean pool. 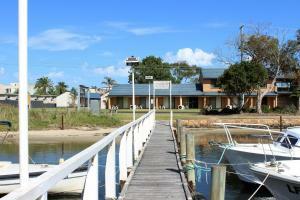 Adequately equipped apartment for a self contained stay. Comfortable double bed. Don't rely on the wifi, we could not get access. Great value and everything you would expect. Very spacious and has cooking facilities. Room was clean and tidy and the staff were nice. Remember to ask them to turn on the spa an hour before you want to relax in it! 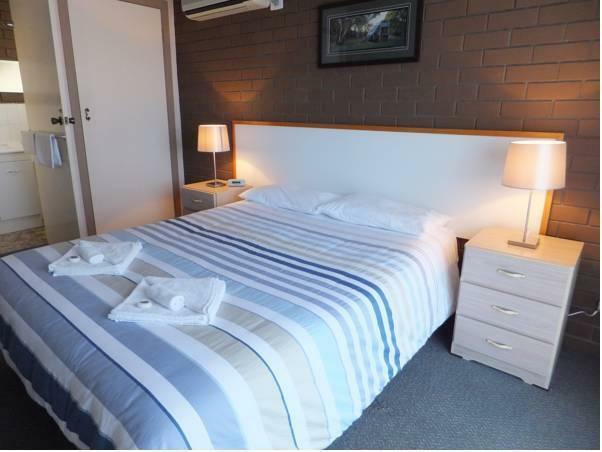 Location wise, it is about a 10 minute drive from the city centre, meaning you have to do a small amount of travelling however it is quiet at night - perfect to get a good nights rest. Note that there are no crabs to be brought into the apartments, so they have provided an outdoor BBQ and crab cooker (just a pot and stove) for your use. Thank you for sharing your travel experience with Paradise Holiday Apartments. We are glad you felt welcomed and enjoyed our facilities on ground. Enjoyed the outdoor jacuzzi. Well equipped kitchen Bit expensive but was holiday season. Generally decor/furnishings below par and in need of an update urgently. The rooms' cleanliness was (with one eye closed!) only just ok but was probably not properly cleaned by the housekeeping staff. It's ok but a bit old, I needed to use matches to light the gas stove which I am always afraid to do. I cannot turn on the oven bcoz it is old style. No cleaning service for the 5nights we stayed, no refill of coffee, tea & milk supply. Kettle is old & leaking. The area is good if you like to relax in peace. The hotel was a good value for money if you are just using it to drive through the coast, just like we did. If you are staying longer, you may want to consider a place closer to the center of activities/town. The room itself was adequate, not really comfortable but enough for resting and recovering after a full day of driving. not worth of money, very old place, not well maintain. Okay although a little remote from the town centre. It was clean and serviceable. We arrived early 1230pm)as we had driven from Melbourne and when we arrived I rang the phone number given as no one was at reception. Without even greeting me I was told you are early check in is 2pm. She then gave the key as the room was ready. The hotel was not as good as when we stayed 12 months prior. The room was not as nice and furniture old and in need of updating. We had 4 tea bags and coffee satchets even though there were 4 of us in the room for 2 nights. We did not feel welcome enough to ask for any extras. We were greeted by a friendly staff who checked us in. Room is clean. Handy to have a decent kitchen and was in a quiet location. Enjoyed our stay.